Bethany is an unincorporated community and census-designated place in Washington County, Oregon, United States. It is situated north of U.S. Route 26 near Beaverton, about four miles northwest of Cedar Mill, and is within the Portland Metropolitan Area. As of 2010 Census, the community had 20,646 residents. Fire protection and EMS services are provided through Tualatin Valley Fire and Rescue. Bethany in Oregon, with surrounding areas in Hillsboro, Rock Creek, Beaverton, Forest Heights, Cedar Mill, is home to U.S. World Class Taekwondo – Bethany, a well established Martial Arts Academy and state of the art 9,000 square feet facility with the best Instructors on the floor that focuses on Kids Martial Arts and Adult Martial Arts . 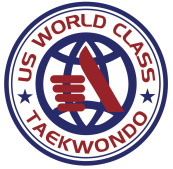 High Performance Olympic Taekwondo Program , Recreational Martial Arts Classes, Adult Self Defense and Fitness Programs, National and International Black Belt Accreditation. Come Visit us in Bethany Shopping Center! Just in case that you won't find us, ask around about the Bethany Karate Place. Everybody Knows. Until next time, lots and lots of smiles. Hope to see you soon.